Mahajanga is a former province of Madagascar with an area of 150,023 km². It had a population of 1,896,000 (2004). Its capital was Mahajanga. The city was the second largest one in Madagascar. Except for Fianarantsoa, Mahajanga Province bordered all of the country's other provinces–Antsiranana in the north, Toamasina in the east, Antananarivo in the southeast and Toliara in the southwest. Sea cucumbers were important commercial product produced in the province. In 1999, cholera epidemic broke out in the province. It infected 380 people and claimed 26 lives. The epidemic spread towards the southern Antananarivo and Toliara provinces. The province was hit by Cyclone Kamisy in June 1984. A large percentage of the province's population lived below the poverty line. 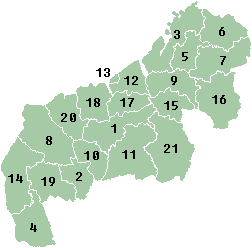 A large area of the province is covered by rain forests. It has a rich variety of flora and fauna. Several lemur species are endemic to the province. Assassin spiders were discovered in the province's Bay of Baly National Park. Another important national park is Ankarafantsika National Park. The national parks attract a large number of tourists and serve as an important economic advantage to the province. 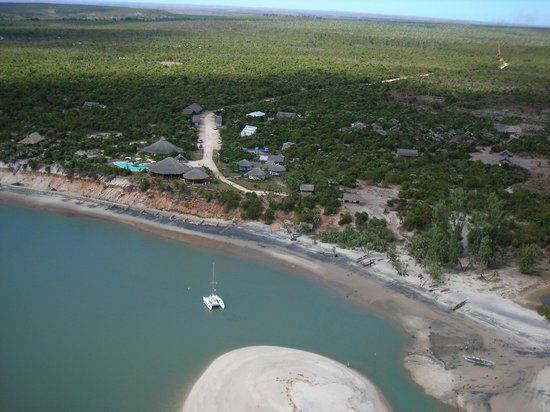 A Natural Science Center was created in Mahajanga in 1985. Rice, cotton, tobacco and manioc were the important agricultural products. The province offers limited opportunities for higher and technical education. The health related facilities are limited. Anemia in children was common and the province offered poor transportation and security related facilities. 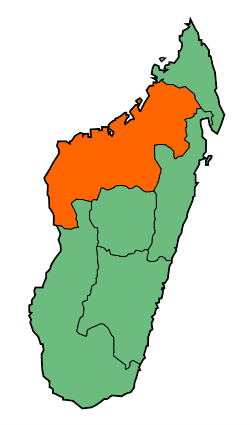 The provinces were abolished following the results of Malagasy constitutional referendum, 2007 which led to the formation of 22 smaller areas (faritra or regions) to facilitate regional development.